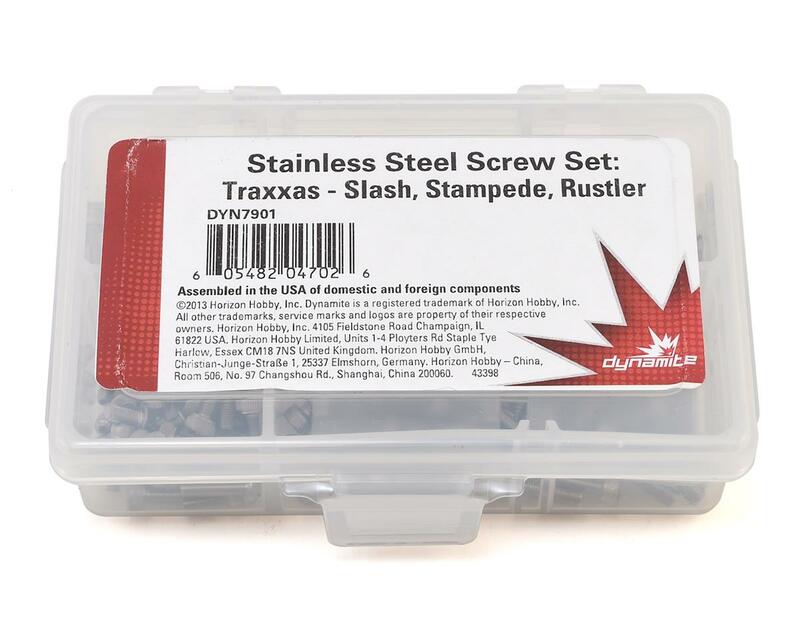 This is an optional Dynamite Stainless Steel Screw Upgrade Set for the Traxxas Slash, Stampede, Rustler and Bandit vehicles. These stainless steel screws are far superior to the stock screws included. These kits are made with the best stainless steel money can buy. No more bent, rusted or corroded screws or stripped heads again.